On Sat. 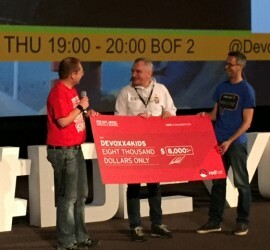 June 7 2014, the first ever edition of Devoxx4Kids was hosted in Poland. In total 112 kids were present, attending 12 different workshops dispatched in 4 tracks. Read more from Bolesław Dawidowicz blog post.